Charley Chau Best in Show Winners Announced! Our Best in Show prize of a £100 Charley Chau Gift Card goes to @caroline_furze for this stunning capture of Birtie hanging out on one of his Charley Chau Faux-Fur Blankets! This BIS winning photo was entered into the #mycharleychau class and we chose it as our overall Best in Show winner because not only is Birtie just super-handsome, but the quality of the photograph overall is so fab that we all thought it was good enough in its own right to be a Charley Chau publicity shot. We would have been proud to have taken this photo! Congratulations to Caroline and Birtie - a very deserving winner of the Charley Chau Best in Show award! Congratulations to @burt_the_toy_doxi on winning 1st prize in our Most Handsome Dog class! There were 142 entries in this class alone so you have beaten off some very tough (and very handsome) competition! Who could resist that beautiful little Dachshund face and captured so beautifully too! "If that photo was on a Christmas card I would buy it". So said Alyson who is the latest member of team Charley Chau. Congratulations to Yolanda Parker for this gorgeous photo of 'Pig' in the snow posted on Facebook! It really is a stunning photograph of a beautiful girl! OK, so the funniest dog class was blessed with some truly funny photographs but this photo of Nala on a windswept beach made everyone in the team laugh out loud. It looks as if she's just sitting there laughing as the wind sweeps through her hair without a care in the world. Just brilliant! 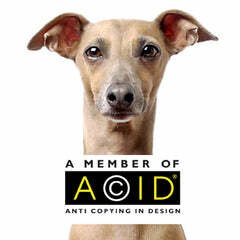 Congratulations to Jade Cunnington for your post on FB that has won our Funniest Dog class! This was SOOO tough! Congratulations to Emma Bryson - you are our #mycharleychau class winner with this great photo of Harlie posted on Facebook! On first glance we thought Harlie had a twin and then realised that it was a mirror image! Harlie looks snug as a bug and we loved the cosiness of this photo of your gorgeous boy! We will be in touch with all of our winners to arrange sending your prizes on Thursday, 4 April 2019! A huge thank you to everyone who entered our Charley chau Best in Show Photo Competition and made it such a great success! We were absolutely gobsmacked to receive so many entries and it was tough but also a real pleasure to look at so many gorgeous photos of so many gorgeous dogs! If you want to see just how tough our job was judging this Best in Show Competition, have a look through the gallery of entries!